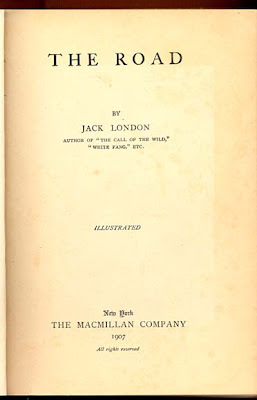 In 1907, exactly fifty years before Jack Kerouac's On the Road reached the New York Times bestseller list, Jack London--then one of the most popular authors in America--published a memoir titled simply The Road. Its centennial will be greeted with much less fanfare than On the Road's fiftieth anniversary, which will be feted this year all over the world with readings, conferences and a new Viking reissue of the book. The Road reflects its author's highly developed class consciousness and comes from an era when American writers like London, Theodore Dreiser and Upton Sinclair wrote to make their readers aware of injustices and to rouse them to political action. Moreover, London's account of his wild, eye-opening journey across the country by railroad, boat, on foot--and even barefoot, when his shoes fell apart--remains a pivotal work in the cultural history of America's long obsession with road travel, roadside attractions and road books. A literary gem in its own right, it has achieved fame among historians and scholars as the grandfather of all twentieth-century American books that explore life and death on the road, including, most famously, Kerouac's classic. For several generations of rough-and-tumble readers, including the members of the Beat generation, it served as an invitation to see the country firsthand, though not first-class. 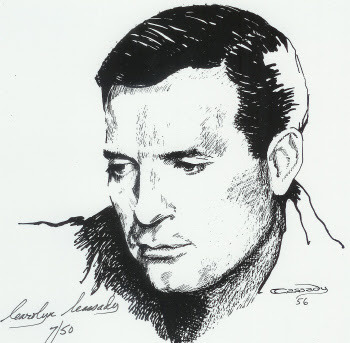 Yet while On the Road is Kerouac's signature work and a pivotal text of twentieth-century American literature, London's The Road is a largely forgotten volume among the fifty-odd books he published, never having achieved the popularity of his tales about dogs and wolves, like The Call of the Wild and White Fang. Still, it is among the most compelling of his books--and the closest he came to recounting honestly his life as an outsider, outcast, wanderer and vagabond. London's portraits of American places, including small towns like Underwood, Leola, Menden, Avoca and Marno, are still memorable because he captured their undeniable hospitality and generosity and because they encouraged him, in the spirit of Walt Whitman, to sing his own song of the open road. His self-portrait is equally indelible. By depicting himself as a "stranger in a strange land," and by taking on the larger-than-life persona of "the American hobo," he was able to write insightfully about the underside of American life--the poverty, the violence and the brutality--that was largely ignored by his contemporaries Henry James, Edith Wharton and even William Dean Howells.